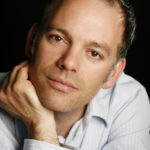 Michael Bracegirdle has performed major operatic roles in the UK, Europe and the USA and for companies including English National Opera, The Royal Opera House, Covent Garden, The Royal Danish Opera, Opera Holland Park, Scottish Opera, English Touring Opera, Mid Wales Opera, Longborough Festival Opera, Diva Opera, Opéra de Rennes, Opéra de Limoges and Opéra de Reims. Roles include Tamino (The Magic Flute), the title role in Parsifal, Siegmund (Die Walküre), Erik (Der Fliegende Holländer), Loge (Das Rheingold), Laca and Steva (Jenůfa), Jenik (The Bartered Bride), Boris and Kudryash (Kát’a Kabanová), Don José (Carmen), Le Prince (L’amour des Trois Oranges), Jason (Medée), Cavaradossi (Tosca), Pinkerton (Madama Butterfly), Rodolfo (La Bohème), Ruggero (La Rondine), the title role in Les Contes D’Hoffmann, Eisenstein (Die Fledermaus), Judge Danforth (The Crucible), Lysander (A Midsummer Night’s Dream), Sellem (The Rake’s Progress), Der Bucklige (Die Frau ohne Schatten) and Valzacchi (Der Rosenkavalier). In concert he has performed at The Barbican Hall, The Royal Festival Hall, The Bridgewater Hall and with the Huddersﬁeld Choral Society, the Royal Liverpool Philharmonic Orchestra, the Royal Philharmonic Orchestra and the RTÉ National Symphony Orchestra. He has broadcast for BBC Radio 3 and 4 and with Mezzo TV. Recent and forthcoming engagements have included Borsa (Rigoletto) and Joe (La Fanciulla del West) for The Royal Danish Opera, Father Grenville (Dead Man Walking) at The Barbican with Joyce di Donato and the covers of Siegmund (Die Walküre), Loge (Das Rheingold) and Big Prisoner/Nikita (From The House Of The Dead) for The Royal Opera House, Covent Garden.